Прекрасные просторные чистые, с чудесной планировкой, 2мя балконами, удобной кроватью. Выше всяких похвал! Asunto oli mielestämme loistava. Hyvät sängyt, tilavat huoneet, useita parvekkeita kolmeen eri suuntaan. Isäntä oli erittäin ystävällinen ja avulias. Giannis war sehr freundlich und hilfsbereit. Unser Flug hatte drei Stunden Verspätung. Trotzdem hat er selbst in Mitternacht vom Mietwagen-Büro abgeholt und uns den Weg zu seinem Apartment vorgefahren. Er kann neben Englisch auch sehr gut Deutsch. 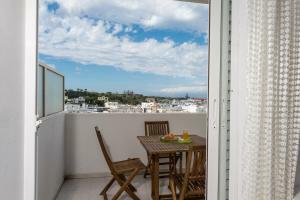 Sein Apartment auf der obersten Etage (mit guter Sicht auf Akropolis und Meer) ist sehr geräumig, sauber und gut ausgestattet. Wir haben uns sehr wohl gefühlt. Die Altstadt von Rodos und Strände erreicht man in wenigen Minuten mit Auto. Die Süpermärkte und Bäckerein sind zu Fuss schnell erreichbar. Le confort, la localisation, Gianni est très sympathique et la propreté du logement. Πολυ ωραιοτερο απο οτι στις φωτογραφιες!!! !πεντακαθαρο!πολυ μεγαλο διαμερισμα!! !Ο Γιαννης ο ιδιοκτητης προθυμος να βοηθησει σε οτι θελαμε!! !το συνιστω ανεπιφυλακτα!! !οταν παω ξανα Ροδοσιγουρα θα το ξαναπροτιμησω!!! μεγάλος, ευάερος και ευήλιος χώρος με πολύ ωραία θέα και πεντακάθαρο!!!!! 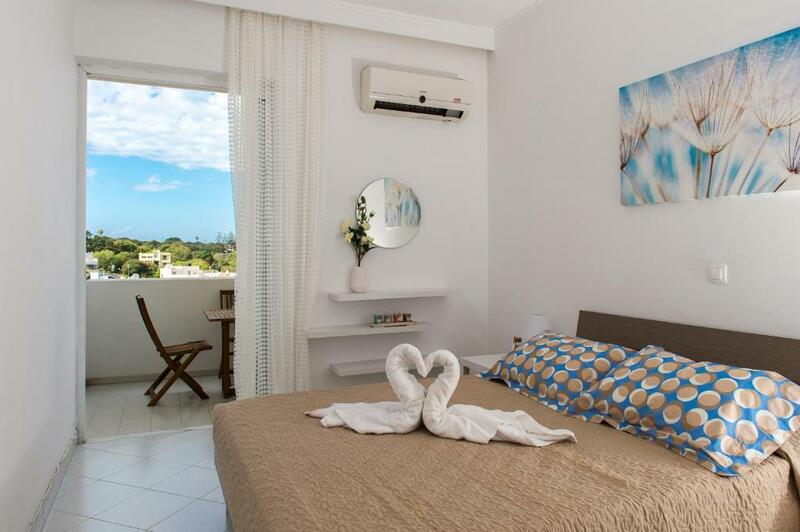 Lock in a great price for Giannis Rhodes Apartment – rated 9.8 by recent guests! One of our best sellers in Rhodes! 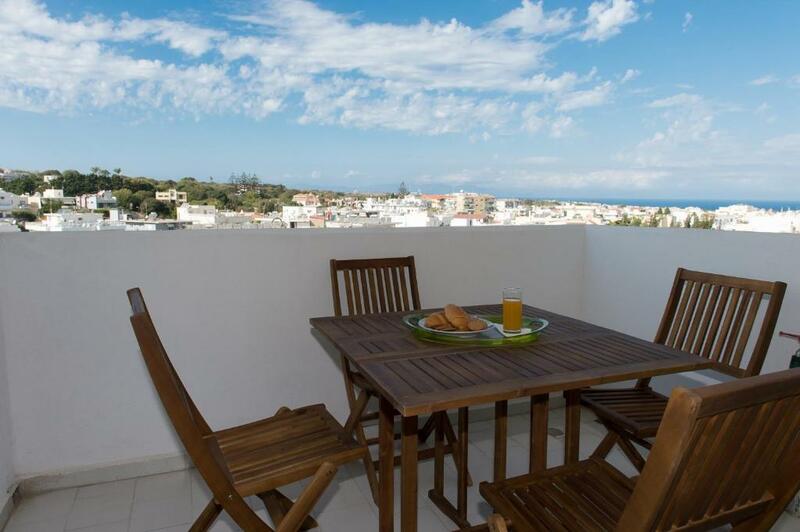 Featuring sea views, Giannis Rhodes Apartment has accommodations with a terrace and a balcony, around 1.5 miles from Clock Tower. Housed in a building dating from 1998, this apartment provides free WiFi. 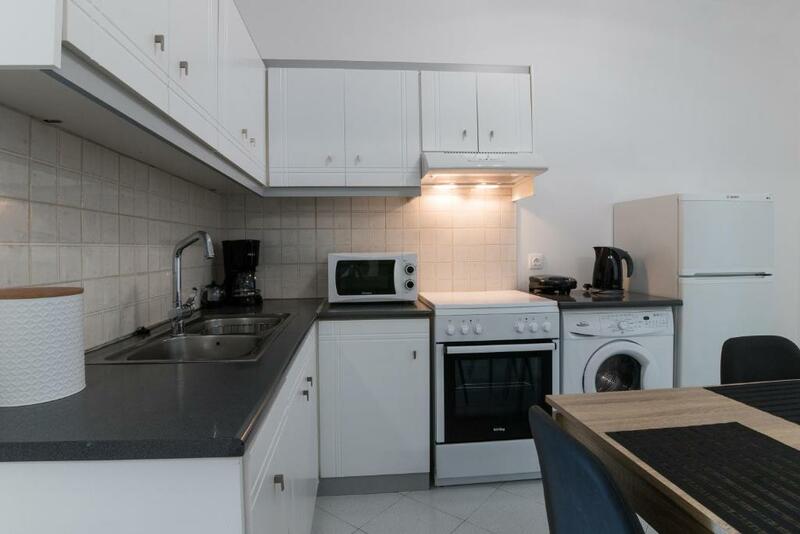 The apartment features 1 bedroom, a kitchen with an oven, a washing machine, and a bathroom with a hair dryer. A flat-screen TV is offered. Temple of Apollon is 1.6 miles from Giannis Rhodes Apartment, while Grand Master's Palace is 1.9 miles away. 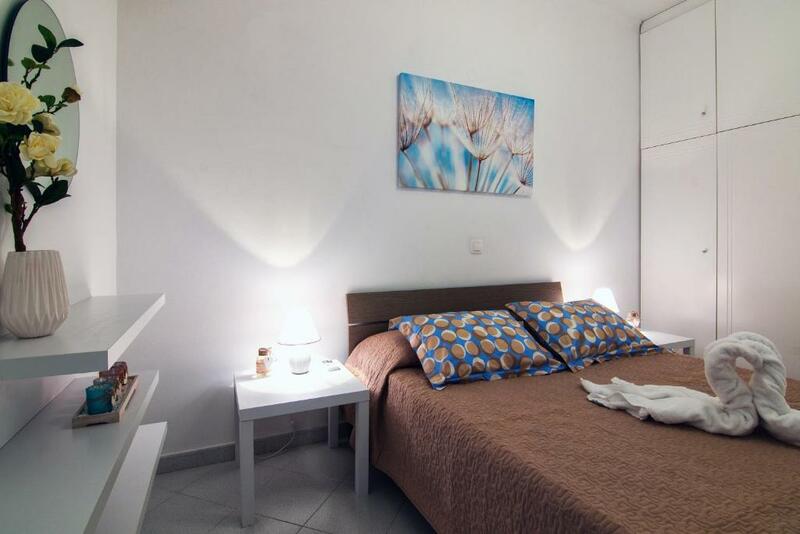 The nearest airport is Diagoras Airport, 7 miles from the accommodation. 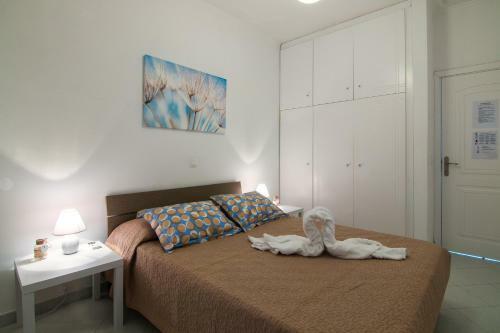 When would you like to stay at Giannis Rhodes Apartment? This apartment has air conditioning, sea view and bathrobe. The apartment is an ideal and convenient place that can accomodate easily up to 3 people. Comfortable balconies, beautiful view and easy access to the city centre make the apartment the ideal place for the vacation and businnesses of every guest. The apartment is equiped with every essential device and uttensil that would make the guests feel as if they were at the ocmfort of their own house. My name is Giannis and I am 36 years old. I am married with one child and I live at a very close distance from the apartment that I offer for renting. Having stayed for a long abroad I am able to know the mentality of many foreign peoples and what they really expect from a pleasant stay during their vacation. I have hosted many people from abroad and I am here to fulfill their expectations and make their stay as pleasant as possible. The apartment is situated at a very quiet neighborhood located 15 minutes away from downtown by car. 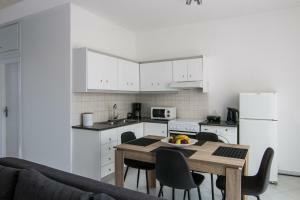 There are all the necessary facilities nearby like super markets restaurants and cafes. The access to archaeological sites and beaches is a 10-minute drive from the apartment. House Rules Giannis Rhodes Apartment takes special requests – add in the next step! Please note that cleaning service is available upon request and at extra charge. Please inform Giannis Rhodes Apartment of your expected arrival time in advance. You can use the Special Requests box when booking, or contact the property directly using the contact details in your confirmation.